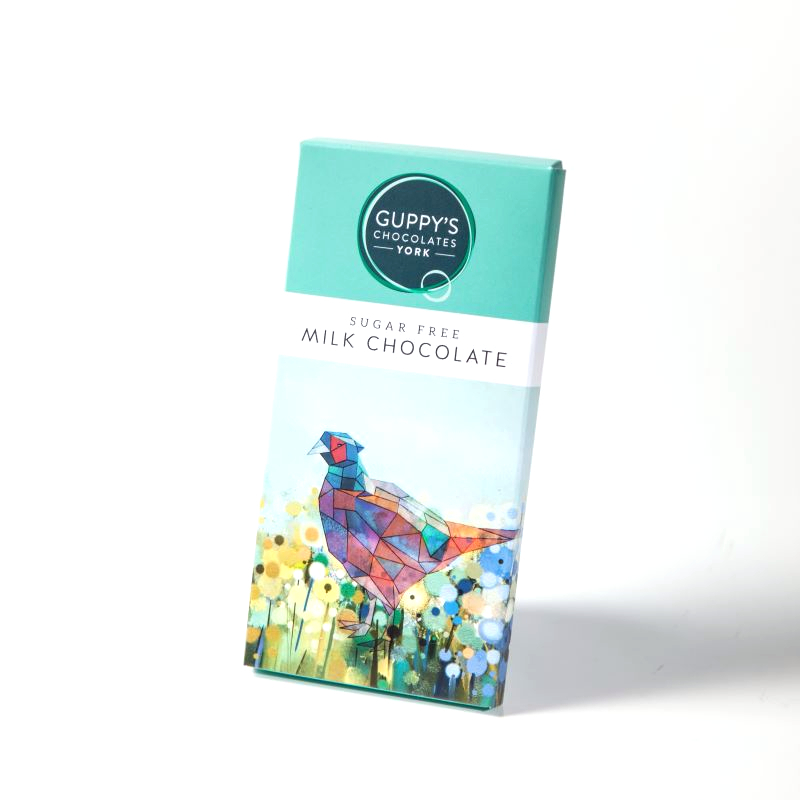 We wanted to make a milk chocolate bar that was suitable for diabetics and people managing their sugar intake, but still deliciously tasty. We use Maltitol as a sugar substitute, which has fewer calories, but is virtually identical in taste to sugar when used in chocolate. We think this bar really delivers on taste. Packaged in a sealed bag and a cardboard outer.